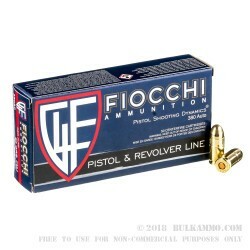 A very straightforward and standard round from Fiocchi, aimed at delivering for a wide range of firearms in the booming .380 ACP market the “new hot gun” in the concealed carry market. The absolute truth of the matter is that .380 ACP is a finicky platform. Some guns just don’t like some ammunition in this caliber. Generally, the Fiocchi 95 grain FMJ works well in them all. The break in period is important for .380’s and that’s a good place for this Fiocchi load which delivers 195 ft. lbs. of energy and 960 feet per second of velocity at the muzzle. 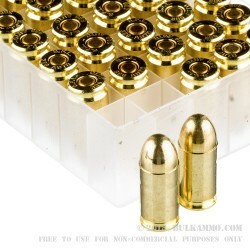 It is squarely in the position of range ammunition to break in the .380, and get practice on targets. The price is incredible given the alternatives from other makers. As an import, this is about as good as it gets. The consistency, history and reliability of Fiocchi and this specific load are very good. 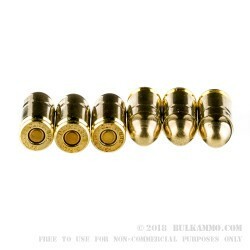 This round feeds exceptionally well in most .380 ACP firearms and the slightly heavier bullet takes some of the snap out of the shooting experience, giving shooter new to the .380 platform a good basis for shooting the cartridge. I shot 100 rounds, I had 2 rounds that wouldn't properly chamber.